A trademark must be original, which means that it was never used previously with respect to a particular class of goods. A trademark must also be distinctive, in two ways: First, it cannot generically describe the product it represents. "Apple Computers" is sufficiently distinctive, for example, but "Apple Apples" is probably not. Second, a trademark must be sufficiently unique to distinguish it from other trademarks. Above all, a trademark must be actually used in commerce to enjoy protection. Although you can register your trademark with the U.S. Patent and Trademark Office, you don't have to register it for protection. Without registration, however, your trademark is only valid in the geographical areas where it is actually used -- and you cannot sue for infringement in federal courts. Trademark registration, by contrast, offers nationwide protection and access to federal courts. It also notifies potential infringing parties that you claim ownership of the mark. Theoretically, a trademark can last forever; however, certain rules apply. To continue to protect your rights to your trademark, you must continue to use it in commerce, file an affidavit with the U.S. Patent and Trademark Office between the fifth and sixth year after registration, and pay renewal fees between the ninth and tenth year after registration and every 10 years thereafter. Even if your registration lapses, you will lose only your registration rights, not your trademark. If you stop using your trademark in commerce with an intent not to resume use, you will lose your trademark rights through abandonment. You can also lose trademark rights by licensing your trademark without restrictions. 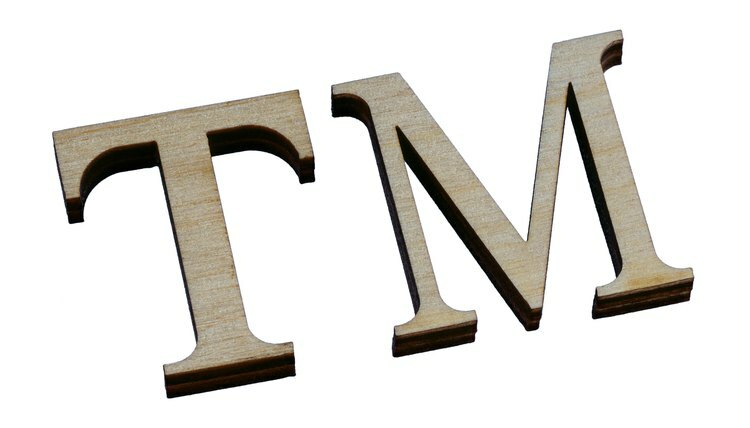 In addition to registering your trademark, you should mark your goods with the symbol "TM" (if the trademark is not registered) or "®" (only if it is registered). Marking is not a legal requirement, but it may deter infringement and help you prove that an infringement was intentional. Once you discover an infringement, you should send the infringing party a "cease and desist" letter, demanding that the party stop the infringement. This is also not a legal requirement, but if the infringement continues, it will be difficult for the infringing party to prove that the infringement wasn't intentional. If your trademark was not registered at the time of the infringement, you may file a lawsuit in a state court in the state where the infringement occurred. If it was registered, you may file a lawsuit in a federal district court in the judicial district where the infringement occurred. A state court decision is only enforceable within the state, while a federal court decision is enforceable nationwide. If ownership of the trademark is in dispute, the party who first used the mark in commerce will win, even if the other party registered the trademark first. If the issue is whether the defendant's use actually constituted infringement, it will depend on whether the defendant's use of the trademark could result in a likelihood of confusion in the minds of consumers between your trademarked product and the defendant's product. If your trademark is famous enough, you can win simply by showing that the defendant's use is likely to tarnish the mark's reputation. If you win a trademark infringement lawsuit, the court will likely issue an injunction restraining the defendant from further use of your trademark. The court is also authorized to award you the amount of damages that you can prove. If the defendant's infringement was intentional, however, the court may award you the defendant's profits if they were greater than your damages. If the defendant infringed your trademark intentionally and also took advantage of your business goodwill, the court might even award you triple damages.